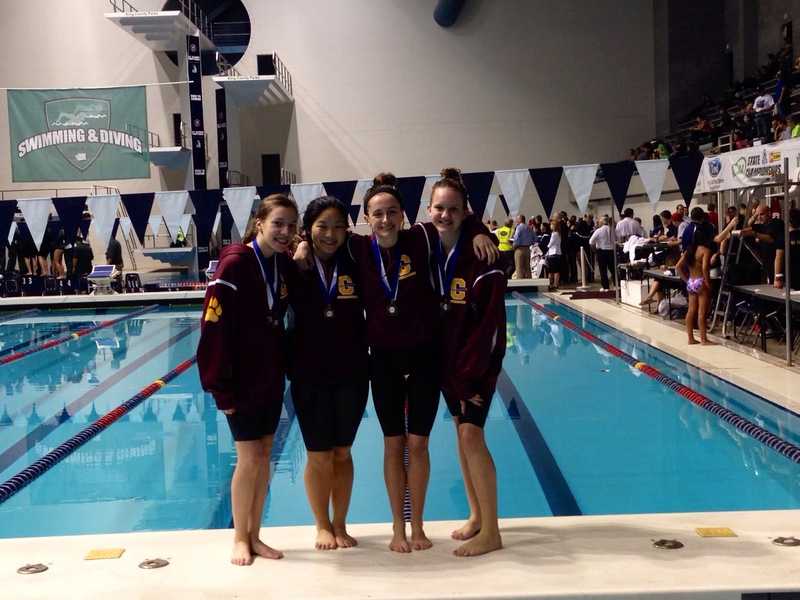 On Saturday, November 16, the Capital High School 200 yard freestyle team won the 2A state championship with a time of 1:43:35 at King County Aquatic Center in Federal Way. The team is comprised of (l-r) Jessica Schulte, Jada Pearson, Jessica Eidenmuller and Madeline Hoffman. A common goal of all high school athletes is to win a state championship. Winning the championship is a great achievement no matter the situation, but victory certainly tastes sweeter when it was earned through defeat and hard-work. In 2012, the Capital High School girls 200-yard freestyle relay team of Jessica Eidenmuller, Janessa Schulte, Jada Pearson and Hansi Willoughby finished third at the 2A State Championships in the event. The defeat, which came a week after the foursome had won the District IV 2A Championship in the event, was made even tougher due to the fact that the CHS swimmers had to watch as a group of seniors from Tumwater High School (Anneke Stoker, Alex Cummings, Lorraine Hack, and Abby Sullivan) were presented with the first place trophy. Exactly 357 days later, Pearson, Schulte and Eidenmuller were joined by new partner Madeline Hoffman at the 2A state meet at the King County Aquatic Center in Federal Way. This time around, the Capital swimmers, who repeated as district champions, were able to push themselves to new heights and won the state championship with a time of 1:43:35, exactly three seconds in front of the second place team from Sehome High School. Three days after their triumph, the four CHS swimmers sat down for an interview with ThurstonTalk.com, and were still finding it hard to believe they had brought home the first place medal. Hoffman qualified for the state meet in 2012 on the CHS 200 yard medley relay, 100 yard fly, and 500 yard freestyle, giving the three other returning members of the freestyle relay team a suitable replacement for Willoughby, who graduated last June. The four teammates also swim for the Evergreen Swim Club, and were able to come together as a group very easily. The fact that all four swimmers have competed in the state meet at the same venue the previous year also helped in the preparation for a title run. 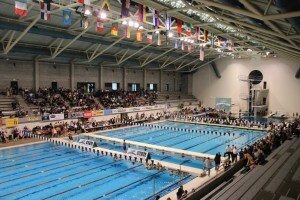 Competing in such a venue as the King County Aquatic Center, which hosted the U.S. Olympic Diving trials in 2012, added to the experience. Instead of trying to calm down prior to the start of a race in the prestigious venue, the CHS swimmers use the intense atmosphere of the meet to their advantage. A motivating force for all Capital swimmers is head coach Burke Anderson, whose workouts for each individual and relay team allows for the swimmers to reach their potential when it counts. Getting to the top and earning a state championship has garnered the relay team increased attention from their classmates and faculty at CHS. The four swimmers will be honored at an upcoming assembly for their achievement and said that they have received congratulations from fellow students the last two days. This level of recognition has not always been around for CHS swimmers. Despite the graduation of Hoffman, all members of the relay team believe they can find a suitable replacement and make a run at repeating next year. 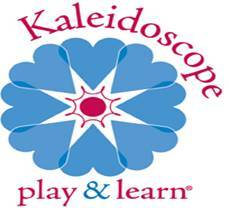 “It’s a huge accomplishment and we know now that we have 8 months to keep progressing forward,” said Eidenmuller. “Obviously we are sad to see Madeline go, but it will be exciting to see who comes up from club to step up,” Schulte says. Whoever has the opportunity to step into the relay position, will have the opportunity to learn from the best in the state.